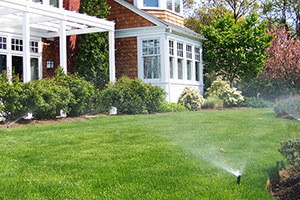 There is a lot that goes into maintaining your lawn and landscaping, and one of the most important aspects to that job is making sure that you have the name of a Virginia Beach lawn irrigation services professional to help you keep everything flowing to where it needs to be. Here at Winesett Nursery & Landscaping, our team of irrigation installation experts have the skill, training, and experience necessary to provide you with all of the high quality lawn watering services you need to keep your landscaping looking their best at all times. Our team of professionals believe that you should never have to settle for anything less than the best when it comes to the irrigation system that you use to keep your lawn and landscaping looking their best, and when you make the call to our team of experienced specialists, you never will. Our team of Virginia Beach landscaping services professionals understand just how important your landscape is to the appearance and the function of your home, and the large part it plays in the everyday lives of you and your family. As such, it is important to make sure that you have the proper irrigation systems in place to help you keep it healthy and looking its best at all times. If you have any questions about our full line of high quality irrigation system services, or if you would like to schedule an appointment for consultation with one of our specialists, give us a call today. Our team of experts are always standing by and would be more than happy to assist you in any way we can. When thinking about installing their new landscaping, there are many homeowners out there who don’t take into account the essential task of keeping it properly watered and ensuring that any excess water has a path to drain out instead of pooling. A lawn or landscape that holds on to too much water, or just isn’t able to get enough of it is going to be an unhealthy landscape. Our team can help you design the perfect new lawn irrigation system for your Virginia Beach area home’s landscaping to help ensure that it is able to continue looking its best and remaining healthy for many years to come. For quality lawn irrigation systems in the Virginia Beach and Chesapeake areas, please call Winesett Nursery and Landscaping at 757-426-7880 or complete our online request form.